For the most part, this week’s viral Florida news stories were uplifting and inspiring — from a man who beautifully sang ‘Ave Maria’ in the lobby of a Disney World resort to a spring breaker who took it upon himself to pick up trash on Miami Beach. There were a few newcomers on this week’s social interaction leaderboards, including Pensacola News Journal, Spectrum News 13, and Univision 23 Miami. 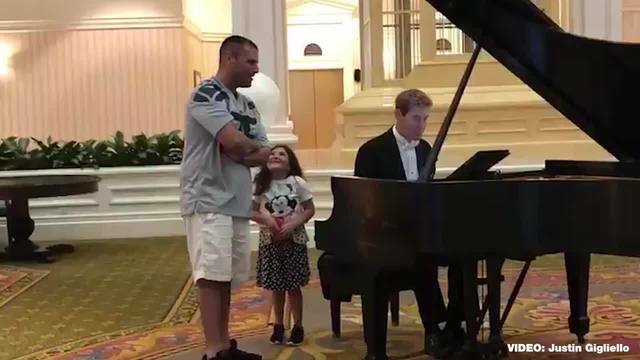 A video of a dad singing ‘Ave Maria’ at Walt Disney World’s Grand Floridian resort goes viral. A statewide Amber Alert for a missing girl is cancelled after she was found safe. A New Port Richey man is arrested for crimes against a 6-year-old girl. Instead of getting trashed, this Georgia spring breaker decided to pick up trash while vacationing in Miami Beach. Wow! A man sings ‘Ave Maria’ at a Walt Disney World resort. His daughter’s face is priceless. A Southwest plane makes an emergency landing at Orlando International Airport. Data was collected from CrowdTangle on Friday, March 29, 2019. It covers the period between Saturday, March 23, and March 29, 2019.